During His First Advent, the Lord Jesus unlocked many mysteries for the Church, not the least of which is what happens when we die. The Old Testament doesn't provide a lot in terms of specifics, since OT believers operated under the terms of a different Dispensation. During the Dispensation of the Law, believers were not immediately whisked into the presence of the Lord at the moment of death. The blood of bullocks and lambs was insufficient to cover their sin. Old Testament believers expected to stand in the Resurrection at the Last Day, but had no expectation of eternal life in the sense that the Church understands it. Until Jesus defeated death at His resurrection, death was still pretty much a mystery. The general understanding was that first a man dies, and then he awaits the resurrection of the dead at the last day. The Lord Jesus filled in the missing details about death and the grave under the Dispensation of the Law when He told the story of the rich man and Lazarus. I want you to note that Jesus did NOT say, "learn the parable of the rich man." He began with a definite statement of fact: "There was a certain rich man. . "
And Jesus says that there was a "certain" beggar named Lazarus. The rich man and Lazarus were real people; this is not a parable or Jesus would have identified it as such. "And it came to pass, that the beggar died, and was carried by the angels into Abraham's bosom: the rich man also died, and was buried. And in hell, he lift up his eyes, being in torments, and seeth Abraham afar off, and Lazarus in his bosom." Let's stop there for a second and examine this newly-revealed truth. Until now, OT believers thought that when they died, they stayed in the grave until the Resurrection. They had no expectation of continued consciousness - until Jesus revealed the truth to His Disciples. Jesus told them that the rich man went immediately to hell. Lazarus was immediately carried by the angels into a place called "Abraham's bosom." This was a totally new revelation. The Lord revealed that hell was divided - there was a place of comfort for the righteous dead with Abraham on one side. In the middle was a great gulf or chasm, and on the other side was hell, a place of flames and torment and loneliness. Moreover, the Lord reveals that those in hell could see across to Paradise. There are several other things we learn from Jesus about hell, and about those who are condemned to it. First, the rich man has no name, whereas Lazarus is addressed by name throughout the passage. The rich man needs no name. Nobody will ever call it again. Jesus teaches us that those condemned to hell are; a) in fiery torment, b) are self-aware, c) are nameless and without hope of reprieve, d) are conscious of their situation, and, e) their memories of their earthly lives are intact. The Book of the Revelation teaches that what we call 'hell' is more analogous to a county jail, where prisoners are held pending trial and conviction. Once a county jail inmate is convicted, he is transferred to a state penitentiary to serve out his sentence. When John describes the judgment against the devil, he writes: "And the devil that deceived them was cast into the lake of fire and brimstone, where the beast and the false prophet are, and shall be tormented day and night for ever and ever." Note two things. First, the beast and false prophet 'are' - present tense -- in the lake of fire. They were not consumed. Secondly, it is a 'lake of fire and brimstone' and its inhabitants 'shall be tormented day and night forever and ever'. Thus is the fate of those we fail to reach in our effort to discharge our Great Commission. It's a sobering thought. When Jesus descended into hell after His Crucifixion, He went to Paradise to "lead captivity captive", the Scriptures say. He went to Paradise to preach the Gospel and to present Himself as Savior and bring them from Paradise to Heaven. Our spirits exist and have substance, and they are not only conscious after death, they are completely self-aware. Death is not the end of our existence. Death does not, evidently, even impair our consciousness. But yet we do sorrow when a loved one dies. Even when we know that our loved one is now safely resting in the arms of Jesus. We know that our loved one's race is run and their burdens have been lifted. They are now where we all wish to be - but that does little to dry our tears. It is one of the conundrums of Christianity - everybody wants to go to heaven, but nobody wants to die. Why is that? Does that mean that their faith is weak? Are they really secret doubters? Paul intended to offer words of comfort -- indeed, the chapter closes; "Wherefore comfort one another with these words." Paul offers words of comfort because of the sorrow that comes with losing a loved one. Being sorrowful at the loss of the loved one is not evidence of a lack of faith. If you think about it, your sorrow isn't because you have any doubt that your loved one is safe in the arms of Jesus. You haven't betrayed the faith. You sorrow because they aren't here. Our loved ones are a gift from God given to us to make our sojourn on the Big Blue Marble bearable. The gift is deliberately temporary, which is what gives it its value. When a loved one dies, we lose the gift of their companionship. Even though we know loss is also temporary, which mitigates the tragedy - it does little to ease the pain of loss in this life. Our sorrow is not for our loved one - it is for ourselves. Their gain is our loss. It's just that simple. There's nothing selfish in that - if one of my children got a fabulous job on the other side of the world I would be very happy for him - but personally devastated by the loss of his companionship. Death comes to us all - we know that. But death doesn't come to us once. It comes to us all the time - death is the one certain part of this existence. Our own death is simply the last one we have to endure. 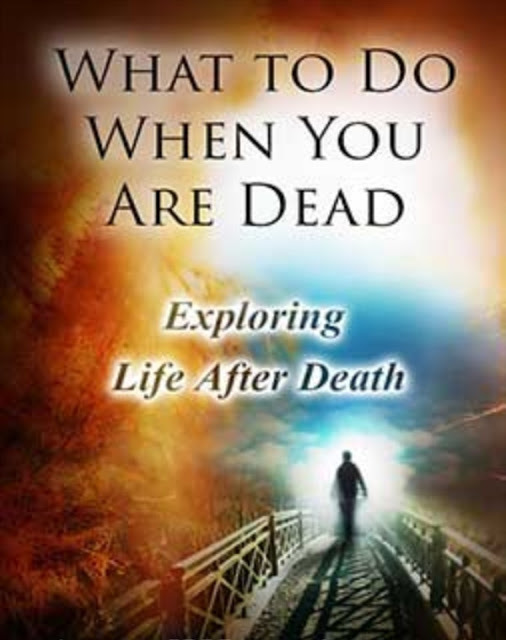 At the Rapture, some believers will not yet have experienced death. They will be instantly changed into their incorruptible bodies. Those who have experienced physical death will be reunited with their bodies, which will be raised and changed. But their spirits and consciousness are already awake and alive and in the presence of the Lord. Those who are 'asleep' in Christ are those who have experienced PHYSICAL, but not conscious death. They are alive and aware and eagerly anticipating the opportunity to meet with us in the air and embrace us once more. We will see them again. We will recognize them and they will recognize us. "For unto us a child is born, unto us a son is given: and the government shall be upon his shoulder: and his name shall be called Wonderful, Counsellor, The mighty God, The everlasting Father, The Prince of Peace." Isaiah 9:6. This verse is a prophecy regarding the birth of Jesus Christ. In all of history there has never been a more important birth nor a more miraculous one. Jesus Christ was born of a human mother but was conceived by God. This fact is impossible for us to wrap our human understanding around and the love that prompted God to become human is also impossible for us mere mortals to fully understand. The child born in Bethlehem was human but the Son that was given that day was God. Jesus had two natures: He was fully human but also fully God. When Adam sinned all of creation fell. His sin made it impossible for us to commune or have fellowship with God. The only way to temporarily cover the breach was through a blood sacrifice. God never requires a human sacrifice, which is just one reason we can be sure that Jesus was much more than just a man. For many years animals were sacrificed but their blood could never be pure enough to take sin away. "For it is not possible that the blood of bulls and goats should take away sins." Hebrews 10:4. From the very beginning God knew Adam would sin and that He would need to step into His creation and shed His pure blood, untainted by sin, and become our once for all sacrifice. "But Christ being come an high priest of good things to come, by a greater and more perfect tabernacle, not made with hands, that is to say, not of this building; neither by the blood of goats and calves, but by his own blood he entered in once into the holy place, having obtained eternal redemption for us. For if the blood of bulls and of goats, and the ashes of an heifer sprinkling the unclean, sanctifieth to the purifying of the flesh: how much more shall the blood of Christ, who through the eternal Spirit offered himself without spot to God, purge your conscience from dead works to serve the living God?" Hebrews 9:11-14. The only way for our sin to be taken away was for God to become human and shed His own blood for our redemption. Our Redeemer had to be God in order for His blood to not be tainted by sin, but He also had to be human in order to be our Kinsman. How could this be? "Therefore the Lord himself shall give you a sign; Behold, a virgin shall conceive, and bear a son, and shall call his name Immanuel." Isaiah 7:14. A human woman who was a virgin would give birth to Immanuel, which means "God with us". When the time was right, God sent the angel Gabriel to a young woman named Mary. She had found favor with God and Gabriel told her that she would conceive and have a son. Mary couldn't understand how she could become pregnant even though she wasn't married and therefore was a virgin, so she asked. "Then said Mary unto the angel, How shall this be, seeing I know not a man?" Luke 1:34. Mary is such a good example of how we should trust God even when our human understanding cannot grasp His ways. Mary didn't hesitate but simply asked how. With God all things are possible, and the answer was simple. "And the angel answered and said unto her, The Holy Ghost shall come upon thee, and the power of the Highest shall overshadow thee: therefore also that holy thing which shall be born of thee shall be called the Son of God." Luke1:35. Mary didn't argue or doubt. She knew that Gabriel was an angel from God and when her question was answered she submitted. "And Mary said, Behold the handmaid of the Lord; be it unto me according to thy word. And the angel departed from her." Luke 1:38. Can you imagine how many great things we could accomplish for the Lord if we would just submit. Because Mary was willing, prophecy was fulfilled. Because she was willing, Jesus would be born of a virgin and be fully human. Jesus was also fully God. The Apostle John describes Jesus as the Word of God. "In the beginning was the Word, and the Word was with God, and the Word was God. The same was in the beginning with God. All things were made by him; and without him was not any thing made that was made. In him was life; and the life was the light of men." John 1:1-4. Jesus' life didn't begin in Bethlehem, but He was in the beginning. He created all things and spoke them into existence. You can read the account in the book of Genesis. "And the Word was made flesh, and dwelt among us, (and we beheld his glory, the glory as of the only begotten of the Father,) full of grace and truth." John 1:14. He was God and had all the wonders of Heaven around Him, yet He chose to take on human form in order to shed His blood for our redemption. He is our example and we need to learn to be more like Him. "Let this mind be in you, which was also in Christ Jesus: Who being in the form of God, thought it not robbery to be equal with God: but made himself of no reputation, and took upon him the form of a servant, and was made in the likeness of men: and being found in fashion as a man, he humbled himself, and became obedient unto death, even the death of the cross." Philippians 2:5-8. Most of us have trouble with humility. It's hard to say "I'm sorry" or to ask for help to accomplish a task. These verses describe the greatest act of love and humility when Jesus chose to become human so He could die on the cross to purchase our salvation. This is perfect love. Why did God become man? He had to in order to be our Kinsman Redeemer. This law of redemption is found in Leviticus and all of the book of Ruth is about the kinsman redeemer. "If thy brother be waxen poor, and hath sold away some of his possession, and if any of his kin come to redeem it, then shall he redeem that which his brother sold." Leviticus 25:25. Adam sold Paradise and humanity to Satan. When he chose to disobey God and eat the forbidden fruit a barrier came between God and humans called sin. All of creation fell and we have lived with sin, death, and separation from God ever since. That's where the kinsman redeemer comes in. When Jesus became human it was to redeem what Adam forfeited. "For verily he took not on him the nature of angels; but he took on him the seed of Abraham. Wherefore in all things it behoved him to be made like unto his brethren, that he might be a merciful and faithful high priest in things pertaining to God, to make reconciliation for the sins of the people. For in that he himself hath suffered being tempted, he is able to succour them that are tempted." Hebrews 2:16-18. Jesus chose to be our Kinsman Redeemer. Only a human could be a kinsman of fellow humans and only the pure blood of God can redeem us. If a human child hadn't been born on that night so long ago and if God hadn't given His only begotten Son there would have been no Kinsman Redeemer to redeem what Adam forfeited. Much of the world will soon take time to celebrate the birth of the King of kings. Too often that all important event gets lost in the festivities of the day...friends and family visit, gifts are exchanged, and too much food is consumed. Take time during this busy time to remember Jesus. Think about the birth of the King, but also take time to ponder upon the deeper meaning of His birth. "For God so loved the world, that he gave his only begotten Son, that whosoever believeth in him should not perish, but have everlasting life." John 3:16. God gave us a gift, but like any gift it has to be accepted. If you have never repented of (changed your mind about) your sin then now is the time to do it. Repent and ask Jesus for forgiveness. Faith in the death, burial, and resurrection of Jesus is the only way to live eternally with Him. Accept His gift today. Mary gave birth to a child but God gave the most precious and valuable gift ever given...His Son. Share that gift with others. Not on just one man-made date, but everyday. Every year about this time, the debate begins anew about Christmas. Does offering someone a greeting like "Merry Christmas" offend those who aren't Christians? Should we remember to keep the 'Christ' in Christmas? Is Jesus the reason for the season? Is observing Christmas an inappropriate endorsement of religion? It is difficult to figure out, if celebrating Christmas as a 'religious holiday', exactly WHICH religion is being endorsed. Christianity is the only faith on earth that is NOT a religion. Jesus Christ was the most anti-religious 'religious' leader who ever lived. Jesus came to dismantle religion and replace it His doctrine of faith and trust. Religion is the antithesis of Christianity. Religion is man's way of making himself acceptable to God. Christianity is God's way of making man acceptable to Him. Religion has rules and regulations that bind its adherents, with the promise of eternal punishment if those rules and regulations are violated. Jesus taught the opposite; He said the truth would make us free and that salvation comes by faith alone that His sacrificial death and His subsequent Resurrection would save us, and not our good deeds. Salvation doesn't come by doing good works or attending church, or by being baptized or by believing in God. James 2:19 says; "Thou believest that there is one God; thou doest well: the devils also believe, and tremble." Believing in God is NOT enough -- as James points out, Satan believes in God. The Book of Job tells us that Satan regularly comes to present himself before the Lord, but that won't keep Satan from his appointment with the Lake of Fire. Good works won't save a person. Isaiah 64:4 notes that, "we are all as an unclean thing, and all our righteousness are as filthy rags; and we all do fade as a leaf; and our iniquities, like the wind, have taken us away." So to a pure a Holy and perfect God, ANY sin/darkness would naturally be alien and repugnant to Him, so -- humanly speaking -- it IS impossible for us to be saved. 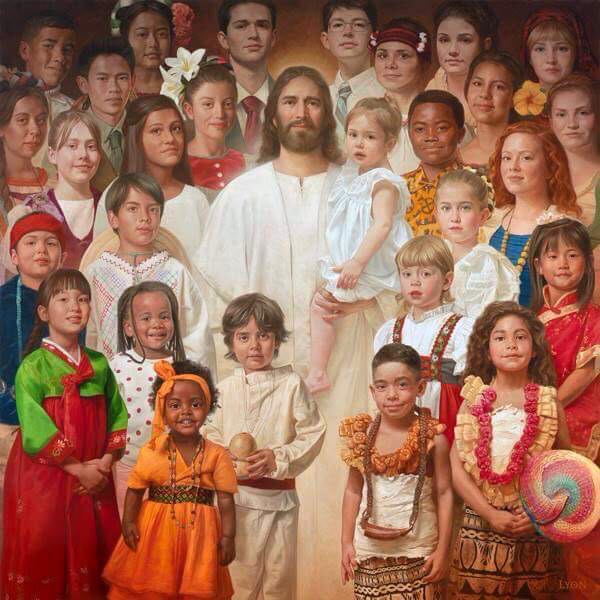 THAT is why God demonstrated His love for us by coming down in human form as the Lord Jesus Christ. God gave Moses the Ten Commandments for a single reason . . . to PROVE two things. The first is that we are ALL sinners -- no human being who ever lived (with the exception of Jesus) ever kept all ten of them. The second reason is to prove we ALL need a Savior. Since it is a human impossibility to keep the Commandments, it is humanly impossible, according to Scripture, for any person to be saved by his works. James 2:10 reminds us that whoever "whoever shall keep the whole law and stumble in one point, he is guilty of all." A person who tries to live by the Ten Commandments will die by the Ten Commandments and will stand before the judge clothed in his own righteousness, or what the Lord refers to as 'filthy rags'. The celebration of Christmas has been declared, by the politically correct but overwhelmingly stupid, a religious holiday. Note well who it is that objects the most to its celebration. Religionists. Secular humanism is a religion. It meets all of the benchmark tests -- it is man's way of making himself acceptable to his god, which, of course, is himself. It has rules and regulations -- you can't believe in humanism and believe in God, it has its own doctrine (evolution) and it requires a tremendous amount of faith. To be a humanist, you have to deny logic and accept a constantly-changing and unprovable 'theory' that says that everything we know about physics is true -- unless you add the unprovable element of billions of years. To a humanist, a frog turning into a handsome prince is a fairy tale. Unless you add a couple of billion years. Then it's scientific evolution. To a Muslim or a Jew, Christmas is offensive. To the Jew, it remains a standing indictment against his religion. The only way around that indictment is to deny that Jesus was the Messiah. 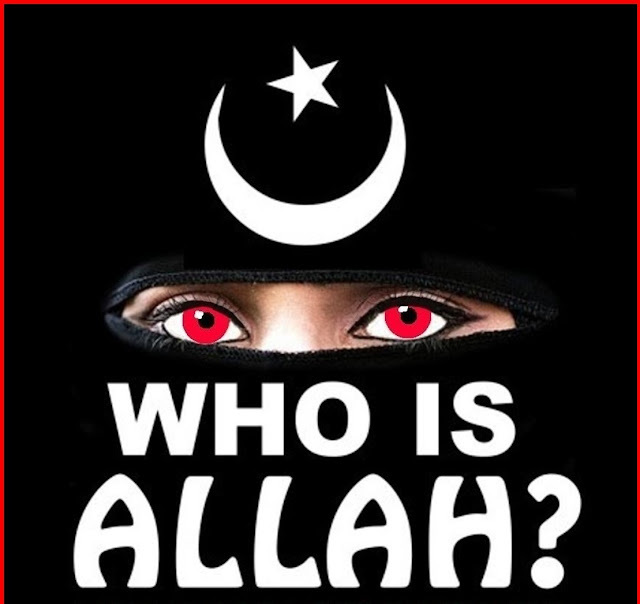 To the Muslim, Christmas is offensive because it is an acknowledgment that the Koran is wrong -- it specifically denies the Deity of Christ and repeatedly tells its adherents that "God has no Son." Christmas finds great acceptance among Christian religionists, like the Catholic Church or mainstream Protestant denominations. 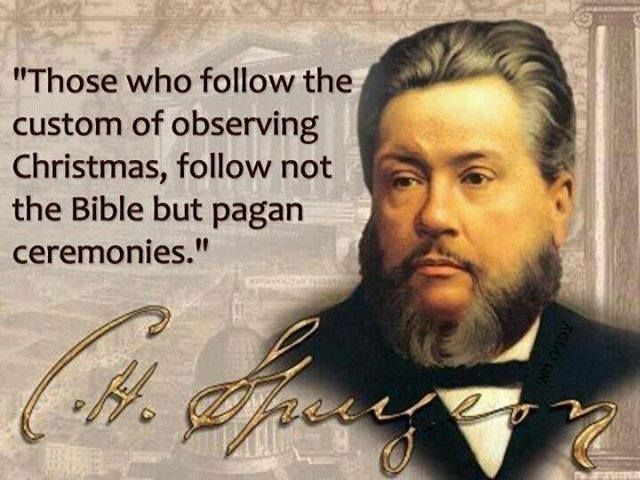 Non-denominational Christianity teaches that its ok to celebrate Christmas if one wants to, and equally ok to not celebrate Christmas, if one wants to. Religionists take one of two positions on Christmas. They oppose its celebration, because they find it offensive. Or, they oppose efforts to stifle its celebration, which they claim is offensive to them. The religionists on each side of the Christmas controversy strain at one another, red-faced and angry, over whether or not it is a good religious observance or a bad religious observance, and in the end, everybody ends up taking offense -- over the Birth of the Prince of Peace! The Bible -- the source of all that is known of God -- offers the final word on the topic, but the Bible is the last place a religionist would think to look for answers about religion. Coming to the end of this year, let us follow the example of Jesus Christ and not man-made traditions that have no basis in Biblical exergesis. Let us give God glory of the Lion of Judah, who will come as a warrior King, not a little baby in a manger that threatens no one, but a wrathful God everyone should fear. Only source to escape the wrath of God is through Jesus Christ our Lord. I leave it up to every man, woman and child to worship God according to their own convictions from the Bible and God's Holy Spirit. "For God so loved the world, that He gave HIs only begotten Son, that whosoever believeth in Him, should not perish, but have everlasting life. According to our calendar, this is the year two thousand and fourteen as measured from the birth of Jesus Christ of Nazareth in Bethlehem. The calendar that we use is the standard calendar in use world-wide for all official business. Hindu countries, Muslim countries, officially atheist countries and religiously confused countries all date modern events based on the life of a Jewish laborer executed as a criminal by the Roman Empire roughly 1978 years ago. They may not believe in Jesus of Nazareth, but He affects their lives daily, nonetheless. In Buddhist Sri Lanka, this is the year 2545. In Hindu India, it is the year 1922. Muslims reckon this year as the year 1421. The starting point for the Buddhist calendar is the year 544 BC -- the date of the Buddha's death. The Muslim calendar dates from the flight of Mohammed from Mecca to Medina. The Chinese lay claim to being the world's oldest civilization. Whether or not that is true, according to the Chinese calendar, which is the oldest calendar in continuous use since inception, this is the year 4704, dating from around the time of Noah and the Flood. The oldest calendar in use in terms of length is the Byzantine calendar, which uses the Julian date for its calculations, beginning with Day One, AM (Anno Mundi) on September 1, 5509. But the Byzantine calendar is based on the Julian calendar created by astronomer Sosigenes of Alexandria 45 years before Christ. It isn't based on human history, but rather by assuming an arbitrary date for creation based on the position of the stars, and then working forward. What is fascinating about all of these calendars is that none of them (except the Byzantine) reach further back than about six thousand years. We have fossils that science claims are older than six thousand years. We have dug up settlements and evidences of civilization that science says dates back further than six thousand years. But the human historical record comes to an abrupt re-boot at about the same place where the Chinese calendar begins. The Chinese record starts at just about the same time when Noah and his family left the Ark and began to rebuild human civilization. And it is the oldest. Everything before that is mythologized. The ancient Sumerians who were the first to develop a written language dated the lifespan of their early rulers into the thousands of years. The ancient Egyptians claimed that their earliest rulers were giants who stood twice the size of ordinary men. The ancient Greek and Roman mythologies included strange, demonic, half-human, half-animalcreatures like centaurs, minotaurs, demi-gods, and so on. Every ancient civilization makes reference to an ancient, cataclysmic flood that was sent as a form of judgment by the gods, a god, or God. And in all the world, there is no record of human civilization that predates the record set forth in the Bible. The Sumerians have written records predating Moses, (who wrote Genesis) but there is no coherent written account of human civilization that predates the Flood. The Book of Genesis explains the origins of human legends, like long-lived Sumerian rulers of pre-history. Genesis explains that until the Flood, human lifespans were measured in centuries -- Methuselah lived for some 969 years. Genesis 6:4 explains the Egyptian giants of prehistory. It also provides a credible explanation for the origins of Greco-Roman mythology. The gods, demigods, centaurs and so forth worshipped by the Romans and Greeks are entirely consistent with the unholy offspring of Genesis 6:4. The gods of Mount Olympus and demigods like Hercules, Mercury, Perseus and Achilles and Joshua's "gods on the other side of the Flood" are a far better historical fit than an explanation that they were simply invented out of nothing somewhere in the distant, unknowable past. Were it not for the Bible's insistence on the universal worship of the Creator as a condition of salvation and its insulting representation of all mankind as unregenerate sinners in need of His mercy, the Bible would undoubtedly be hailed as an unassailably accurate historical record. No matter how desperately science tries to discredit the Bible, it keeps coming back to the Cradle of Civilization for answers to questions relating to the origin of human language, human culture, human racial differences and human DNA. Note that the primary effort isn't to prove the Genesis account true. The primary effort is todisprove it in the face emerging evidence that tends to support Babel as a real event. The same is true of DNA research that also tends to support, rather than refute, Babel as the source of differing racial characteristics. One of the first rules of legitimate scientific investigation is that one approaches an issue with an open mind, rather than beginning with a conclusion and then working backward to find evidence to support it. But when it comes to the Bible, that is the first rule to be broken. Openly. Scientists and historians that even consider the Bible are immediately and permanently derided as 'religiously biased' despite mounting evidence that all human history began exactly where the Bible says that it did. No fact of history (or medicine, astronomy, geology, physics or science) contained in the Bible has ever been conclusively disproved. None. At best, there are things in the Bible for which there is no proof either way, like Adam and Eve, Noah's Ark, or Jonah and the whale. But whenever some piece of evidence does come to light, such as the 1993 discovery of the Tomb of Caiaphus, that piece of evidence always confirms the Bible's account. How is this relevant? What we call Bible prophecy is really a record of Bible history that hasn't yet happened. It is history in advance, as seen from God's perspective outside of space and time. It is as accurate as if it was yesterday's news. It is only from our perspective that it is really tomorrow's.